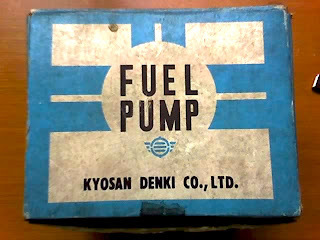 I bought a new Kyosan Denki Fuel Pump to replace the old one. I bought the same brand, but it's a bit different. 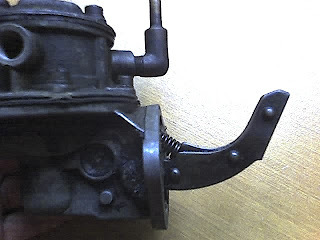 The cam levers have different patterns and the fuel inlet and outlet locations are also different. 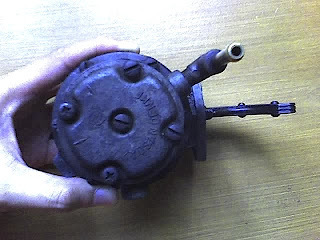 The diaphragm chamber diameter are the same. 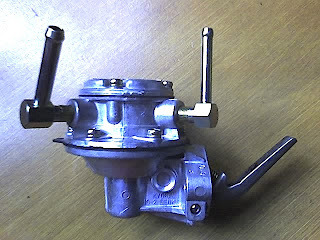 The one I bought was for a Nissan Cedric 200C engine. I believe the 200C is an H20 variant. 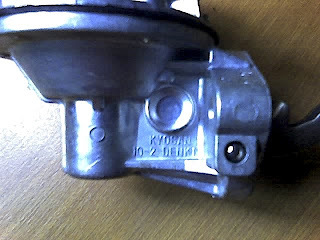 I also compared pictures from Datsun Roadster vendors and the replacement Kyosan Denki fuel pumps have a similar cam lever pattern. 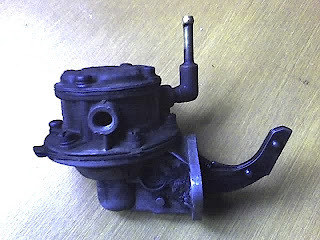 I got the fuel pump unit from Topmost Auto Supply along Aurora Blvd. 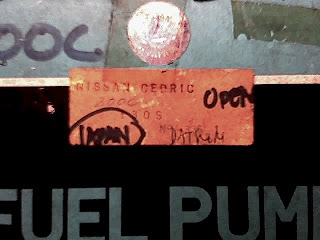 right across Toyota Cubao. 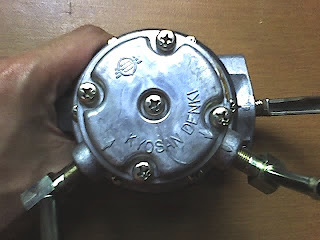 Cost was P1,800 with the spacer and gaskets included. 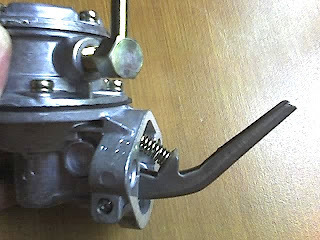 I hope it works!